Geisha One of the Chavez Bully Camps Top Ranking Females. A true female version of her litter mate brother The Infamous “Cashpot”. Produced by Grand Champion Dax and G2. 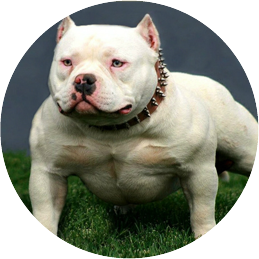 Often said to be one of the Top females in the American Bully Game. Please stay tone to up coming breeding’s.